Thanksgiving may still be six days away, but that isn't going to stop me from turning up the Christmas music, pouring a big mug full of hot chocolate, and decorating my house for the holidays this weekend! Tonight Steven and I are going on the hunt for the perfect Christmas tree, and tomorrow morning I will begin unpacking Christmas storage boxes and turning my house into a winter wonderland. I'm planning to stick with the same overall theme I used last year (red, gold, and all things glitter), but I am looking for a few inspiration pieces to make this year even bigger and better than last year. 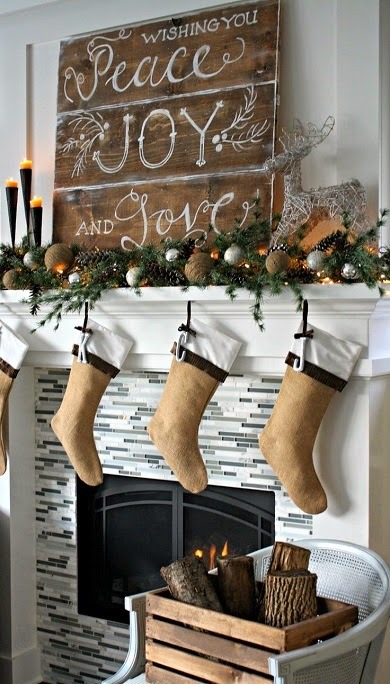 Here are just a few ideas that I have up my sleeve for this year's Christmas decorations. 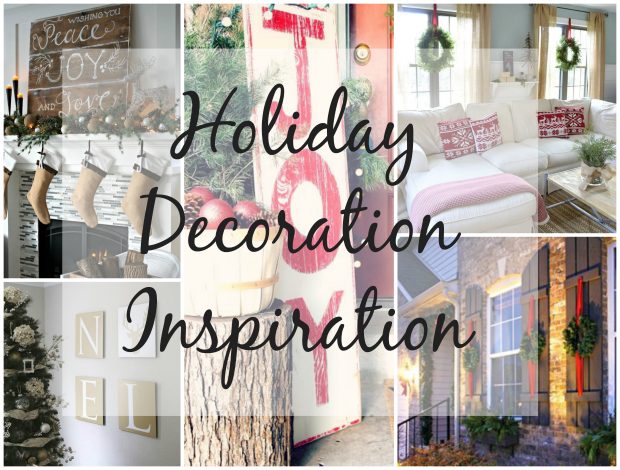 Where did you find your decoration inspiration? 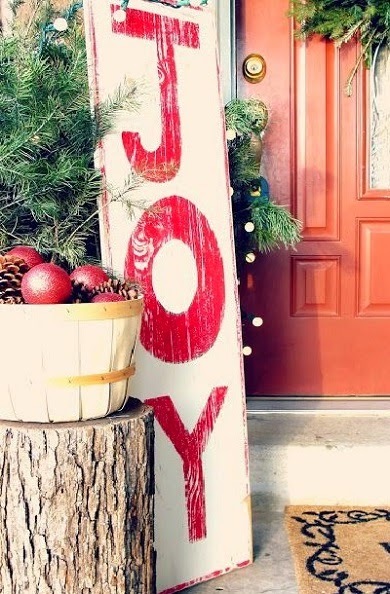 I'm loving those wood pallet signs for Christmas! Gorgeous. :) And girl, I'm loving having my place decorated for Christmas already! Good luck on y'all's tree hunt! I love the wood pallet signs and the wreaths all over. 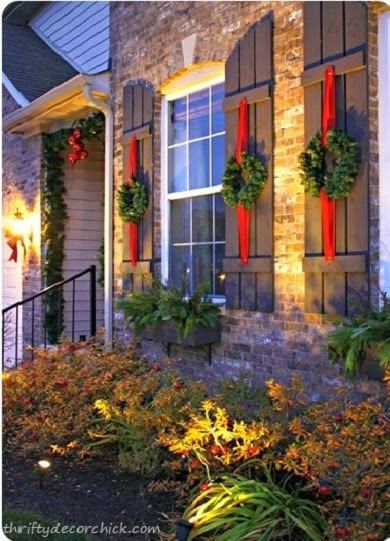 The pallets seem so easy to make and the wreaths would make your house smell amaze! I love the canvases. I should do something cool like that this year. THANKS! "All things glitter" basically sums up my holiday decorating inspiration as well! 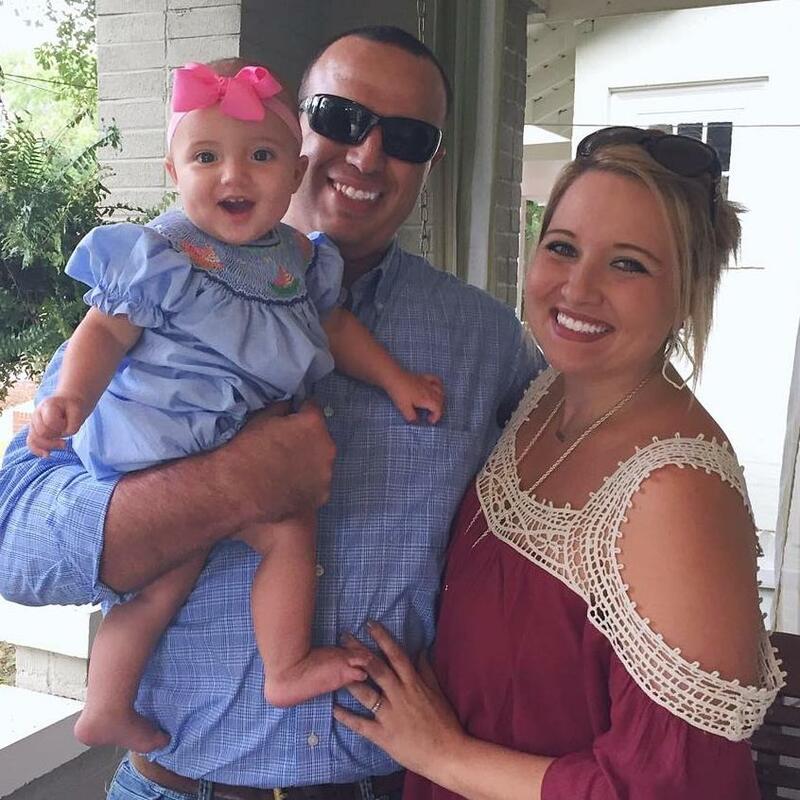 I am decorating on Friday and looking to add some new decor! Thanks! Great post! Yay! I hope this gave you some new and fun ideas for decorating. 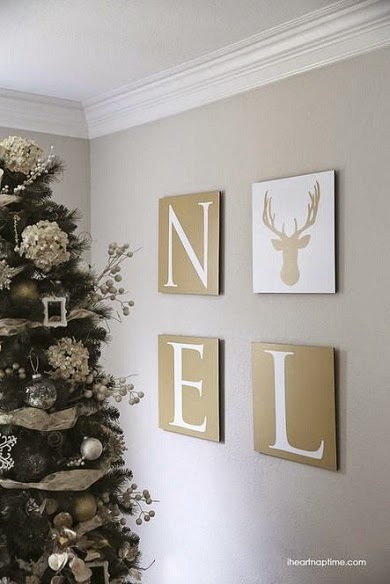 I love all of these Christmas inspiration! I can't wait until I get the space to do this!